The OpenBox trademark needs no flowery introduction. It has a whole array of fans, mainly thanks to its line of reliable satellite tuners. 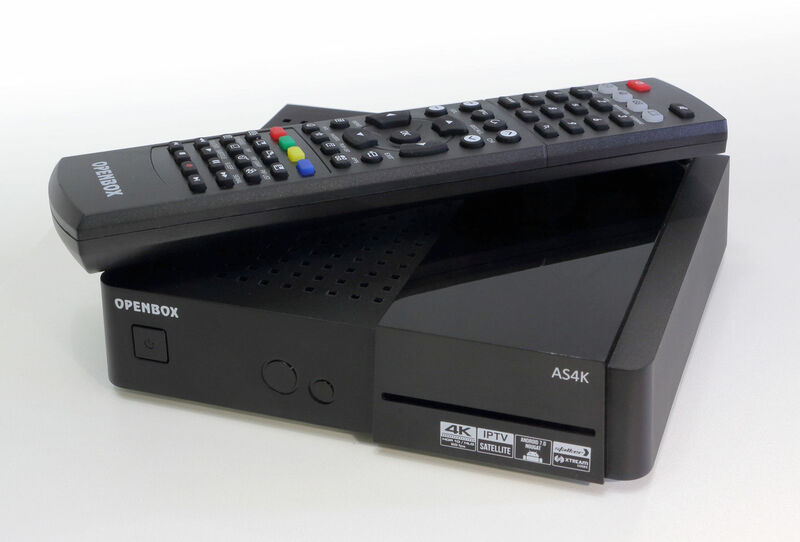 Let me remind you that over recent years, there have also been released several multimedia Android-based set-top boxes with own ginger. 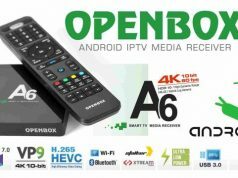 The more interesting will be to test the new product OpenBox AS4K, which combines the functionality of Android 7.0 with common interface of satellite receivers. Like the theatre begins at the cloakroom, the first impression of this set-top box depends on the packing box. And it is hard to complain. This is a medium size box with photo printing. The cardboard is thick. 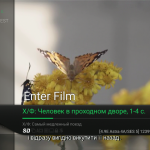 On its both sides there is a device image, the name in Russian and English, and the main functions are imprinted like icons. On the lateral borders there is a description of auxiliary functions and icons of standards and certification. The delivery set is quite common, but you can get all you need there to get started. What is not included: there is no AV cable for connecting outdated TV-sets, mounts to the back of TV-set and an external IR receiver. It is worth mentioning that the delivery set of OpenBox AS4K CI includes an IR receiver and a TV mount. Therefore, you should be careful when buying a specific model of the above receiver. The IR remote control is full-sized. There are 58 buttons. It fits well your hand. And it seems very light even with the batteries. The case is assembled reliably, but the battery catch starts just in the recess under your finger, so when you regularly use the device, you may hear a slight crump. Rubber buttons are of different shapes. Some groups of buttons are made in color. The space between buttons prevents from accidental clicks. The move is deep when pressing buttons. The symbols are painted. Let me remark that 57 of the 58 buttons are actively used. This is an important indicator of the developers’ responsible care. The remote control is powered by two AAA batteries. The main part of the receiver’s case is made of black plastic. Most of the surface has a matte texture, and is not easily soiled. On the right side is a stylish glossy insert that looks good, but it also perfectly collects fingerprints and micro-scratches. Among the controls on the front panel there is only a soft power button. The IR receiver is in the center. 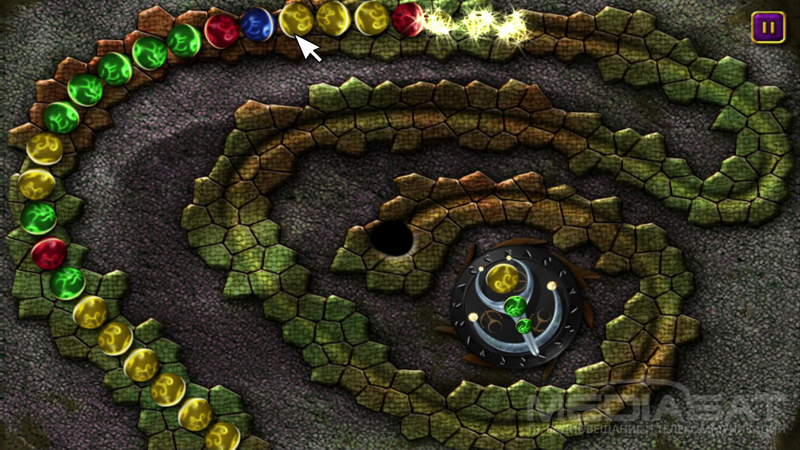 To the right of it, there is a two-color indicator of the operation mode in a circular form. There are no comments on the operation mode indicator. Its brightness is clearly visible, but it has not turned into a searchlight. When the set-top box is in the standby mode, you can sleep easily. On the glossy insert there is a slot for smart cards. The inscriptions on the case are made with white paint. 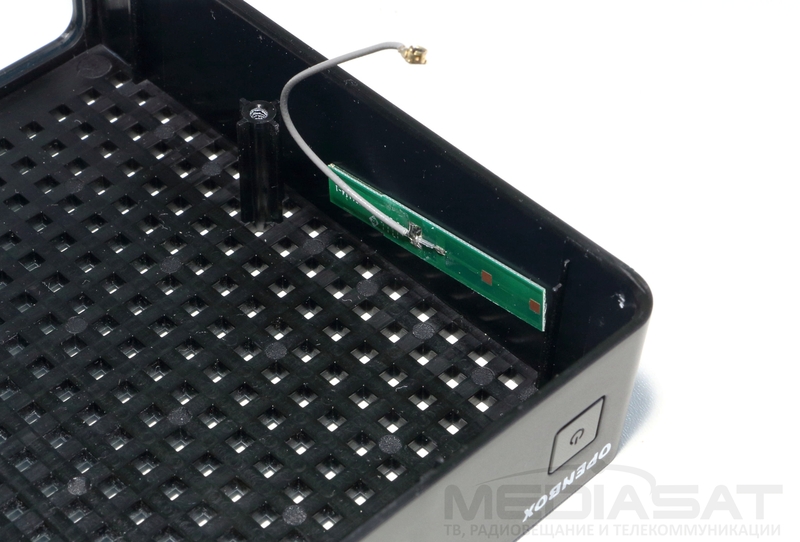 The plastic case covers the chassis made of metal with a thickness of some 1 mm. Most of the lid and the metal base are covered with perforations. High rubber legs ensure good air circulation. In general, the case looks good. The design solution with a glossy insert bore a resemblance to the iconic receivers Prismcube Ruby. All interface connectors are assembled in the back of the set-top box. Due to the fact that the lateral borders are free, the connected receiver looks very neat. It can be safely placed near the TV-set, in plain sight. On the left, there is a USB3.0 port on the rear panel. 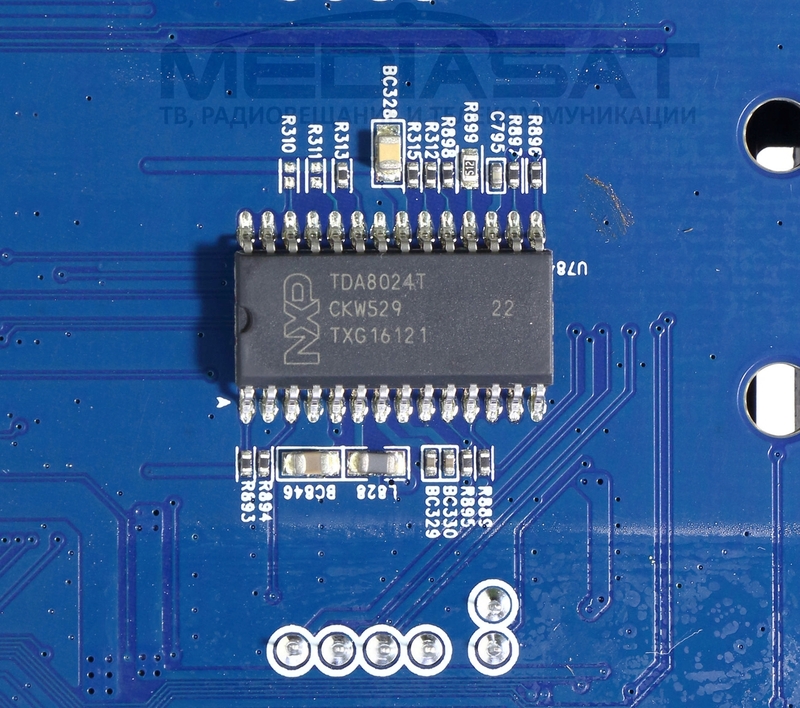 Next to it, there is a standard input for connecting a satellite dish, as well as the analog A/V output for connecting outdated TV-set via an “RCA jack”. The digital optical audio SPDIF output, HDMI output, Ethernet port and USB2.0 port. There is also a slot for microSD cards. There was a place even for the connector of an additional IR receiver in case of installing behind the TV-set. On the right, there is a power connector. Modern technology allowed designing more advanced screens able to transmit more colors and hues. Therefore, the High Dynamic Range (HDR) technology is first represented in the HDMI 2.0a specification that allowed transmitting 10-bit colors via HDMI. Over the course of time, the development of HDR results in a more flexible gamma control mode, i.e. HLG (Hybrid Log-Gamma) support, which is announced in the HDMI 2.0b specification. The HLG technology has relatively recently started to be applied by TV manufacturers and has not yet gained any mass distribution. It can be found on premium TV-sets of 2016 YOM and later. In the OpenBox AS4K, the revision of “HDMI 2.0a TX” is announced. Despite the large number of connectors their arrangement is well thought out. The top case cover of the receiver was removed with little effort. There are no comments on the installation. In the center, under a small black radiator, there is a hidden central processor. Most of the components are mounted on the upper side of the board. 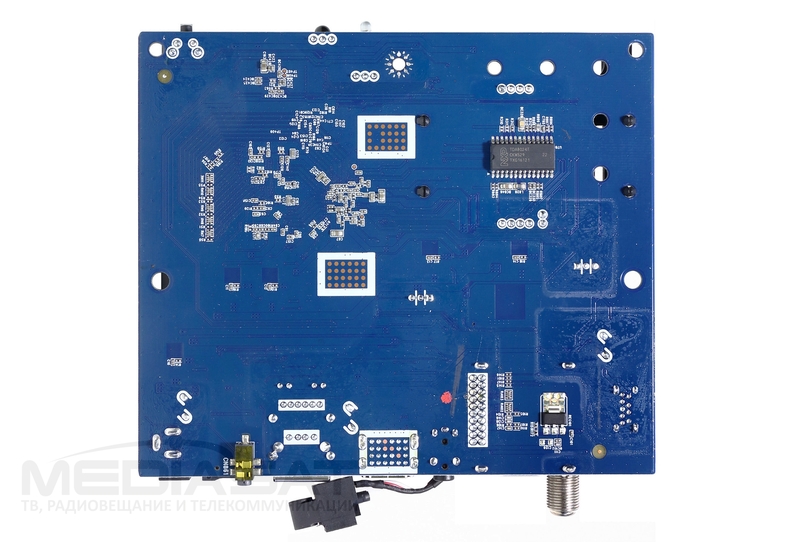 The interface connectors are securely soldered directly to the motherboard, except for the digital optical audio output. It is taken out of the center of the motherboard by a loop. The hardware is uncommon. The OpenBox AS4K uses the Hisilicon Hi3798M v200 chip, made by Huawei. 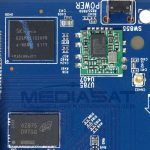 That chip was developed for using in hybrid TV set-top boxes. It refers to the so-called SOC chips (“System-on-a-Chip”). 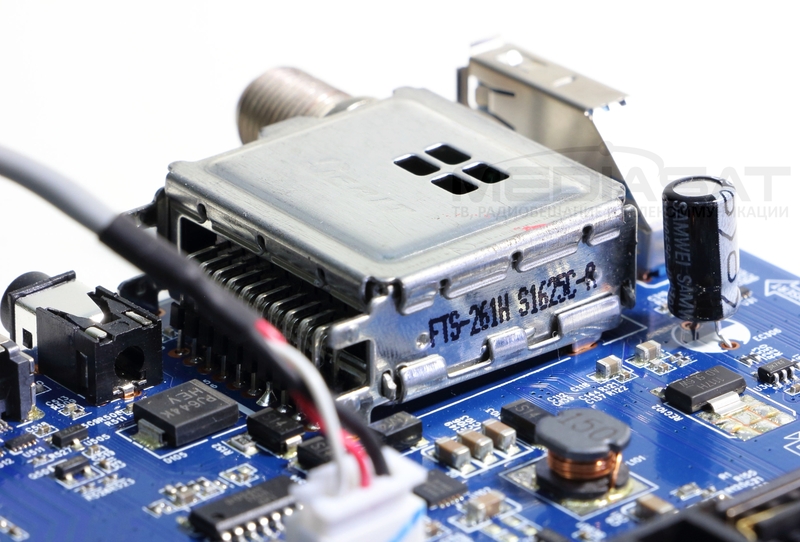 In addition to the processor itself, there is a graphics processor, video processing processors, two demultiplexor inputs, digital-to-analog converters for audio/video, a USB controller, a memory controller, an encryption unit, a storage controller (NAND/eMMC/memory cards), network interface controllers and even one SATA 3.0 port. 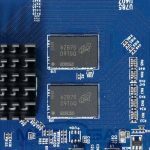 However, a simultaneous operation of USB 3.0 and SATA 3.0 is not supported on this chip. Therefore, the developers preferred the USB 3.0 port. The computing processor contains four Cortex A53 cores and supports 64-bit instructions. 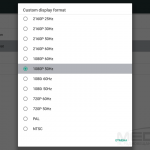 The declared maximum frequency per core is up to 2 GHz. The graphic subsystem is unusual. 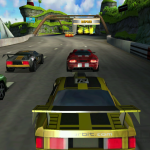 The support of OpenGL ES2.0/1.1 and OpenVG1.1 is provided by the common ARM Mali-450MP core, which runs in conjunction with two HiSilicon graphics cores. 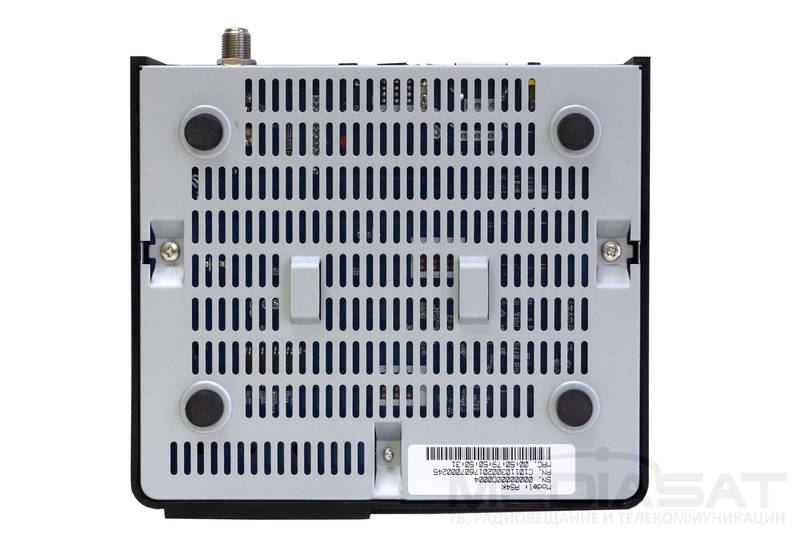 Tuner DVB-S/S2 is made by Chinese company Serit, model FTS-261HB and is based on the Montage RS6000 chip. Support of 16APSK / 32APSK modulation. 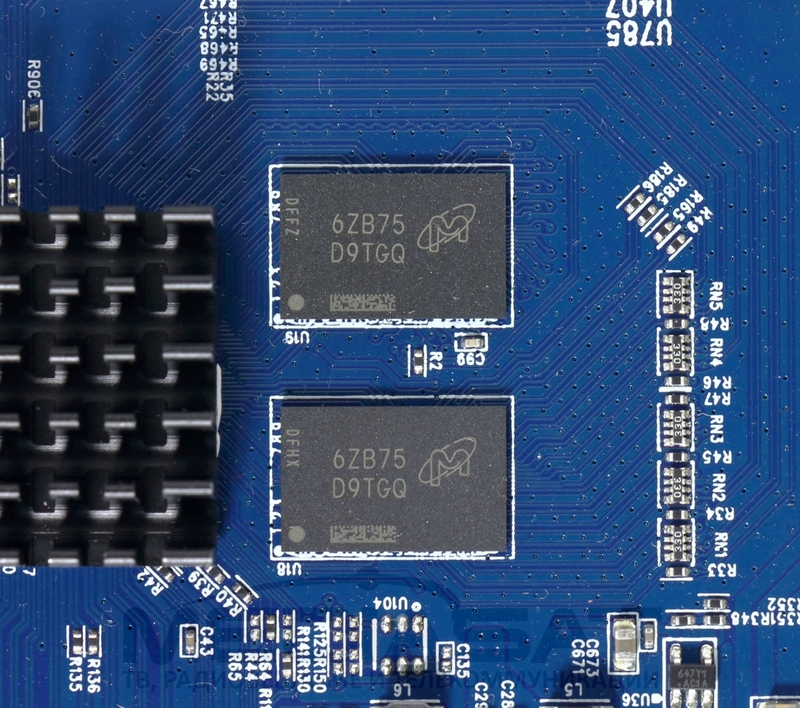 The RAM is represented by two chips from Micron Technology, type DDR4. As a result, they give a capacity of 1 GB on a 32-bit bus. The flash memory type e-NAND and made by SK Hynix is H26M41103HPR with a capacity of 8GB. Due to the “3D NAND eMMC5.1” technology, good rate specifications are declared, i.e. reading 280 MB/s and recording 210 MB/s. 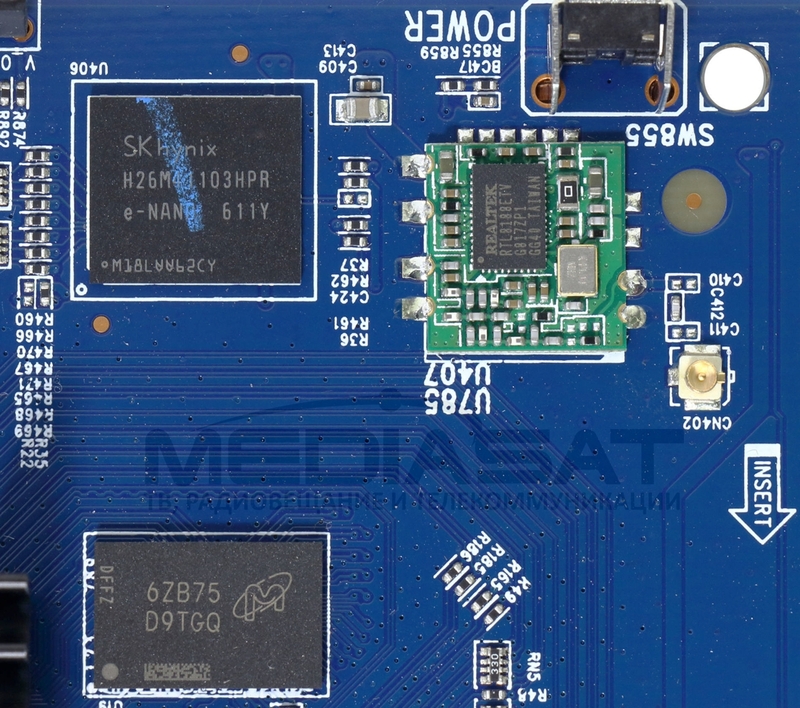 As a Wi-Fi communication module, it was used a solution based on the chip of Taiwanese company Realtek RTL8188ETV. The chip is widely distributed and represents a single-chip module IEEE802.11b/g/n with USB interface. The operational range is 2.4 GHz. 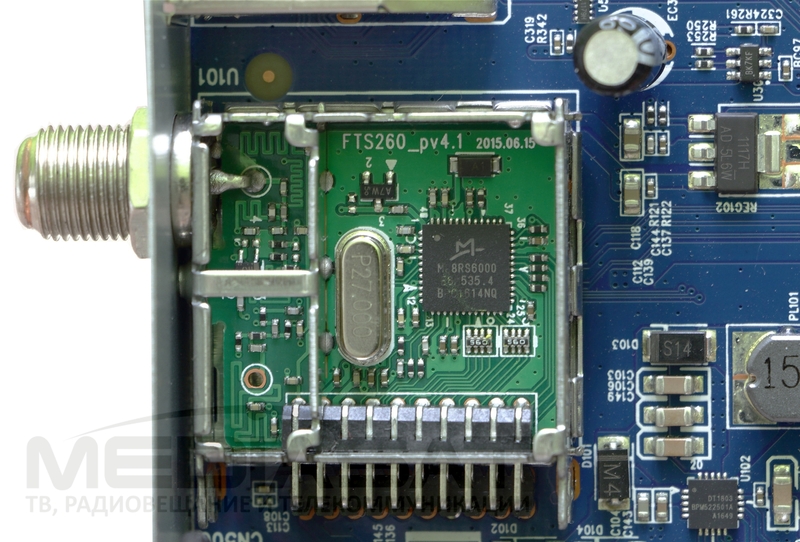 On the reverse side one can find a standard controller TDA8024T for smart cards, manufactured by NXP Semiconductors. Besides, on the back side of the board, there was detected an unpleasant surprise, i.e. soldering fluid traces. There is no single chip for a wired network. After examining flowchart of Hisilicon Hi3798MV200, one can notice that it contains Gigabit Ethernet MAC or Fast Ethernet PHY at option. Unfortunately, the OpenBox AS4K uses the 100Mbps Fast Ethernet option. As for the HDMI port’s version, one can definitely state the 2.0 version, but it is hard to understand the revision. For the first time, the “High Dynamic Range” technology (HDR) appeared in the HDMI 2.0a specification. This allowed transmitting 10-bit colors via HDMI. The development of HDR resulted in appearing HLG (Hybrid Log-Gamma), and the support of that technology was implemented in the HDMI 2.0b specification. 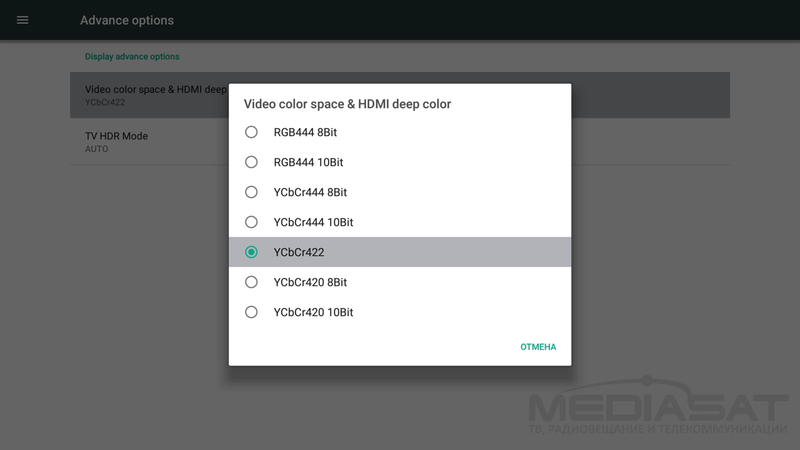 In the OpenBox AS4K, the HDMI “2.0a TX” version is declared. As already mentioned above, the HLG technology has recently been used by TV manufacturers. It can be found in premium TV-sets, starting with the models of 2016 YOM and later. In the inside of the case, switch side, a WiFi antenna is glued. When you turn on the device for the first time, the receiver setup starts automatically. 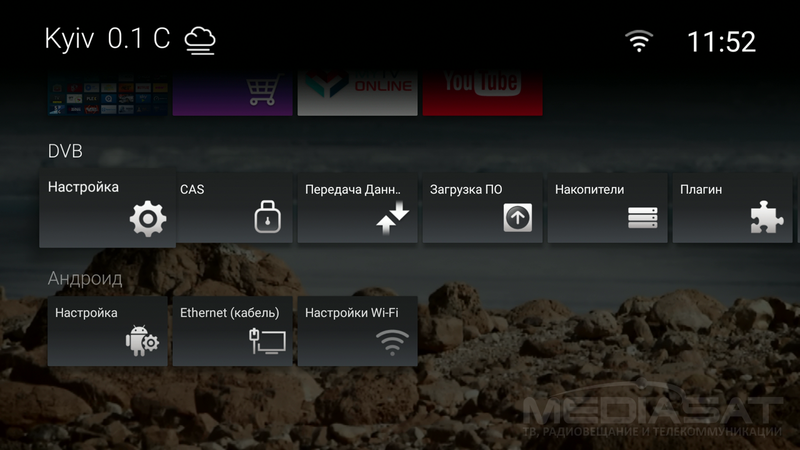 After selecting the interface language with Russian and Ukrainian, among others, it is suggested to set up a wired network, set the area of the visible part of the screen, as well as to select the time zone. After that, you get access to the system settings, where you can configure the antenna or go to the main menu. The main menu is more than simple. This is a bar with six icons at the bottom of the screen. Changing their set or appearance is not admitted. The “live” wallpaper is TV broadcasts. In the right corner there is shown date, day and current time. 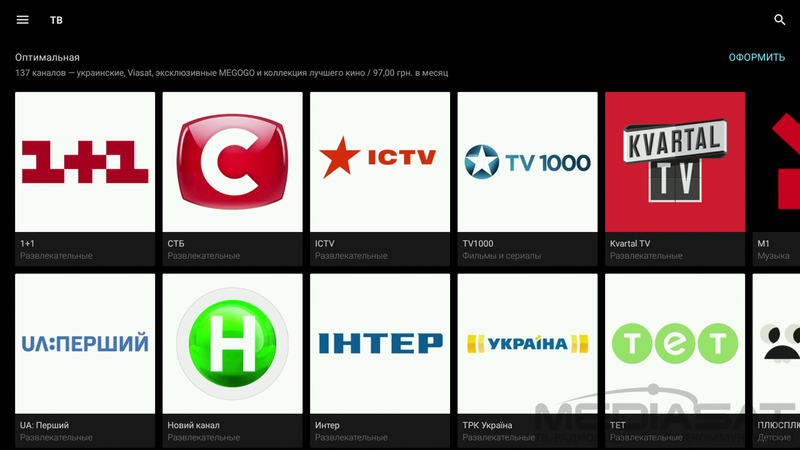 The first menu item is “IPTV”, and this is a collection of selected applications for viewing IPTV and various streaming services. When required, the list of favorite applications can be expanded. The “Shows” section includes absolutely all installed applications. The third menu item “Market” is a separate application store, accounting for the most popular and useful applications from both Google Play and other sources. This is definitely convenient. Everything that usually had to be searched on the Internet is gathered in one place. The “Weather” widget refers to the general theme of the main menu. When you start, the weather window opens. Two display modes are available: 24 hours and 10 days. The viewing history is saved by cities. The “Manager” section accumulates various service widgets and plug-ins. You can safely remove the USB drivem as well as export and import system settings and list of channels. Here is also a changeover to the system menu – “Android”. The developers of OpenBox do not sit on their hands. Within a few months they released two software updates. After the update dated 6 December 2017, it became possible to change the style of the main menu. Going to “Settings” – “System Settings – “Launcher Style”, one can opt for the “Classic” or “Modern” design. 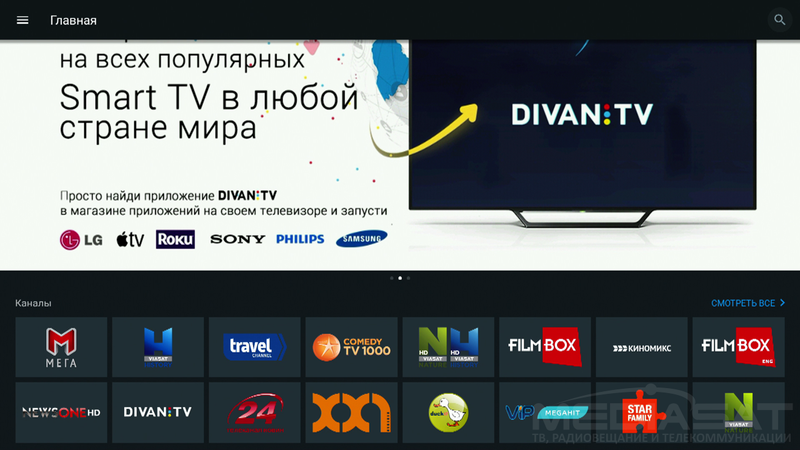 In the “Modern” style, the main menu is presented as a vertical list of three sections like “Application”, “DVB” and “Android”. 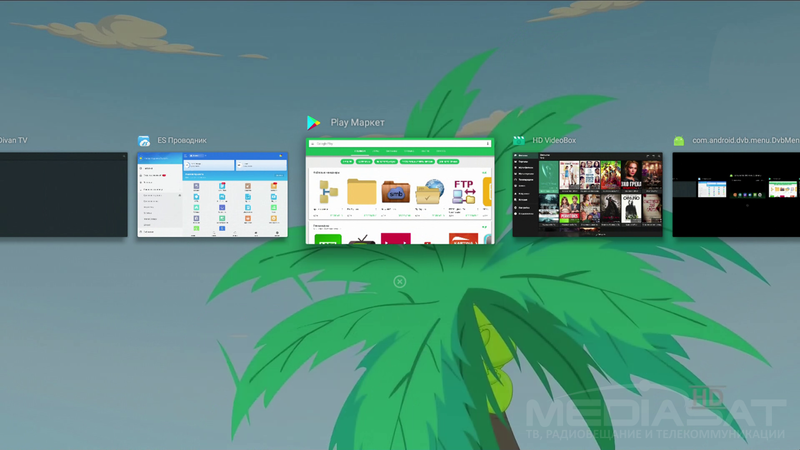 That design resembled the Windows Media Center menu. 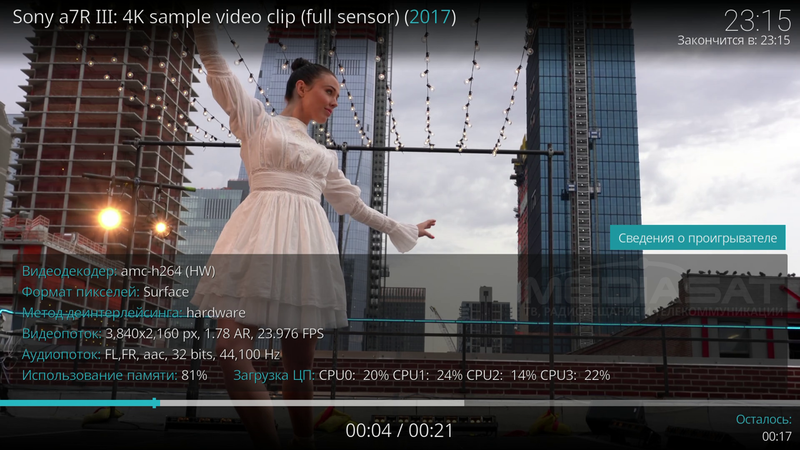 Thanks to the HiSilicon Hi3798M v200 processor, apart from common Android settings, you can find in system settings all kinds of settings for image and video output parameters. Even brightness, saturation and contrast configurations! Separately, I point out the option of changing resolution of the main menu. 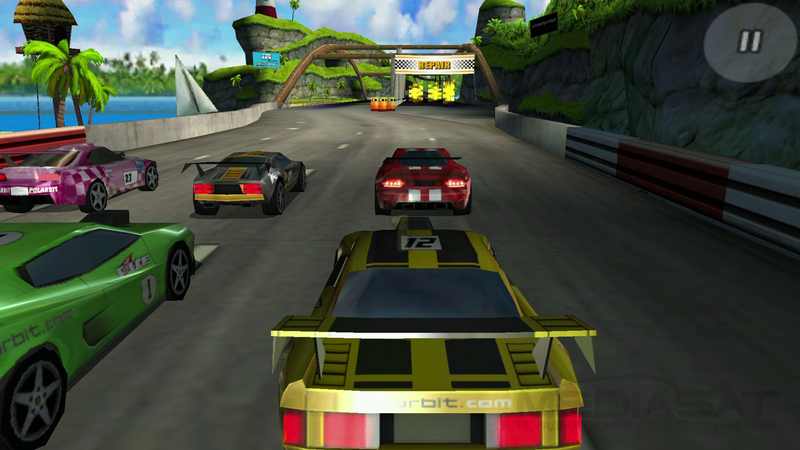 By default, the interface is displayed in HD720p resolution. As desired, one can change it in the Android system menu. 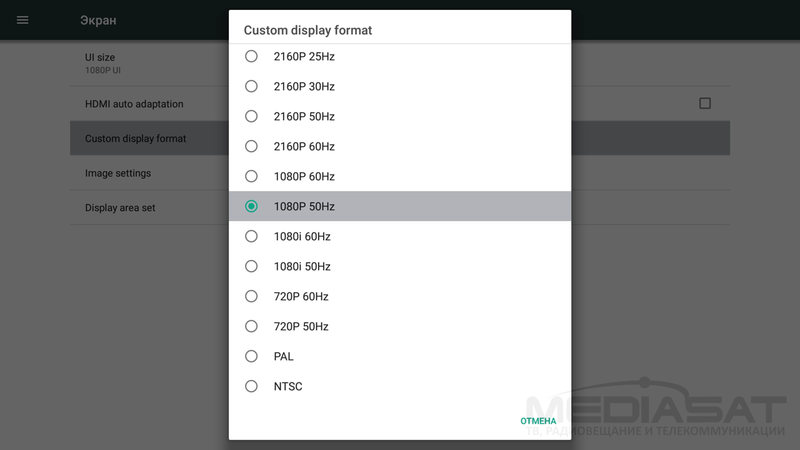 There are two options: 1280×720 (HD720p) or 1980х1080 (HD1080p). Fine settings are recommended to change if you understand what they mean. 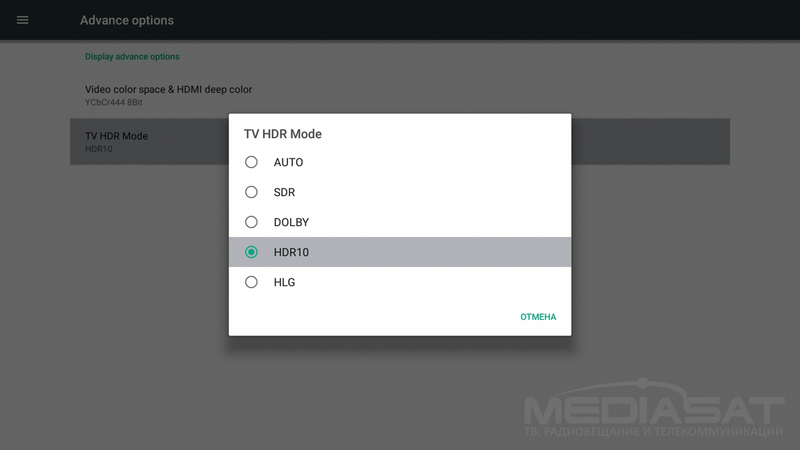 For example, the checkbox “HDMI auto adaptation” cancels the selected screen resolution in the “Custom display format” and runs “HDR” mode. If your TV-set does not support HDR, then the picture results faded. Once the OpenBox AS4K appears is in your house, perhaps the main question is what you can watch from satellite in UltraHD. Here comes to help the website LyngSat.com with its separate section UltraHD. In addition to the fact that the satellite should be “visible” over the place of your residence in azimuth, it is worth paying attention to the geometry of the beam, which determines the coverage area. For example, the satellite Astra 2E/2F/2G in the position of 28.2°E comes to the range of the “visible” ones over Kyiv, but many channels are transmitted through the “UK” beam, which covers only the UK. Now, a few words on the reception conditions, which were applicable to receiver’s testing. The visibility of satellites is limited by the azimuth from 31.5°E. up to 5°W. The satellite offset antenna СА-600 (Variant). The size of the mirror is 650×600 mm. 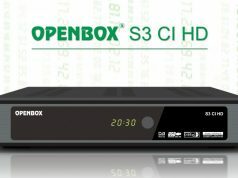 OpenBox AS4K supports DiSEqS1.0 switches. As for the antenna rotator control, it is supported by communication protocols DiSEqS1.2 and USALS. In order to receive as many UltraHD channels as possible, I decided to install a rotator. I left connected one converter with linear polarization for Ku-band (SINGLE Inverto Premium IDLB-SINL40). To receive UltraHD channels, one can opt for common low-noise converters, which are usually used to receive DVB-S2 HD-channels. I configured the antenna rotator by myself. It was an easy task. 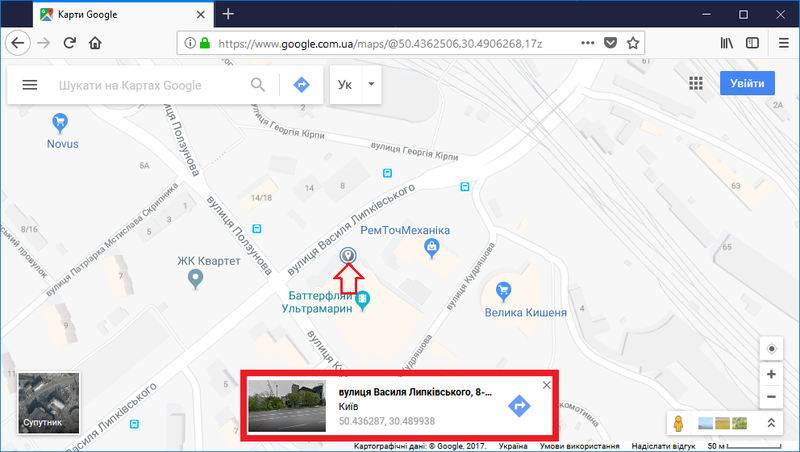 To work with USALS protocol, one should get to know the location coordinates. The easiest way to do this is Google Maps. Hold “Shift” key and specify the point on the map. The window with description appears below, where the number on the left is latitude, and on the right is the longitude. Using a builder’s level, I checked that the bracket was installed truly vertically. I set the rotator’s elevation angle according to the manual. Then I fixed the entire installation southwards. Here, the compass in my phone was very helpful. That’s it! I was ready to start fine tuning. It is good that the OpenBox AS4K has a big signals audio indicator. The pre-set list of satellites and transponders is complete and updated. But if you want, you can add the transponder settings manually. 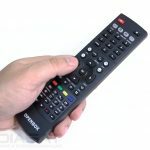 Switching between channels can be done in several ways: using the list of descriptions and logos or remote control buttons, without displaying auxiliary information about the channel. One can also navigate through the channels by using the full list of channels. While watching TV, you can get more information about the channel. The receiver provides two systems for receiving information about broadcasts: DVB-EPG and XML-EPG. 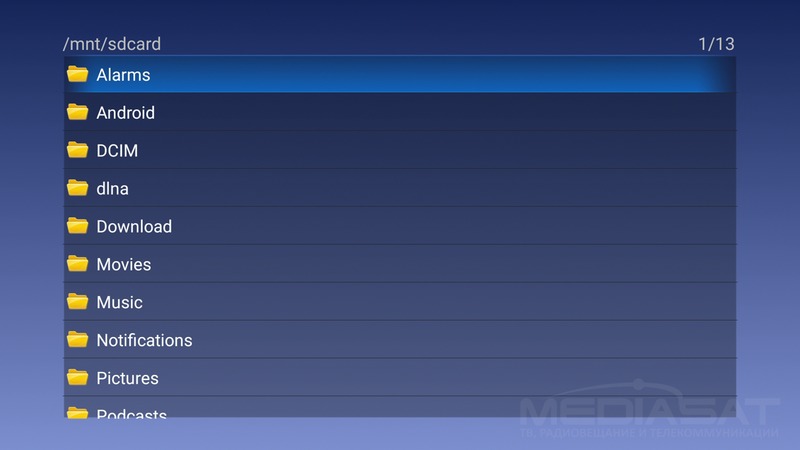 Every time you turn it on, when using XML-EPG, one gets information about TV Guide from the Internet. Depending on the number of channels, the process may take several minutes. Those who prefer falling asleep to the TV sound will appreciate the sleep timer. The off-interval can be customized for 10 and up to 120 minutes. When you first switch to a channel containing an audio track in Dolby Digital AC3 format, you are suggested downloading the required codec from the Internet. Holding down “Menu” button on the remote for over three seconds results in the list of running applications’ opening. 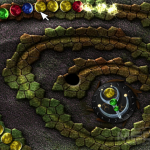 You can navigate through it using buttons “Left” and “Right”. Or abort applications using buttons “Up” and “Down”. It’s hard to invent a more handy way to manage this multitasking remote control. However, I found out about this feature just on the Openbox official website. Since, there were neither tips on the screen, nor references in the manual – just nothing. The fact that an audio track is selected by pressing the “red” button on the remote control was also found out by trial and error. I would like to find this information in the manual attached to the receiver delivery set. When watching TV channels in 4:3 aspect ratio, you can change that ratio by clicking on the relevant button on the remote: “Full”, “Pillar Box”, “Pan Scan”, “Combo”. “Full” means simple stretching across the screen. “Pillar Box” means as it is with black margins on each side. “Pan Scan” stands for scaling width of the screen, constraining proportions. “Combo” is a partial cut of black bands on the sides, constraining proportions. My favorite mode is “Pan Scan”, which inaccurately constrains proportions when scaling width of the screen. The faces are a bit narrower than they should be. 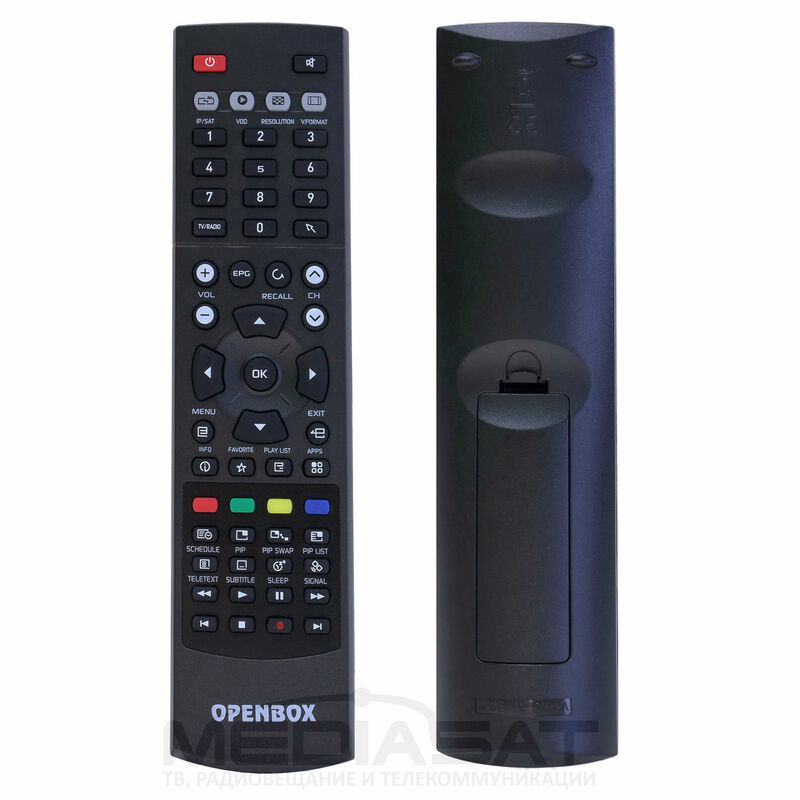 OpenBox AS4K can record a stream from transponder or separately by channels. At that, simultaneous recording of three channels from transponder is supported. The recording control is surprisingly easy and intuitive. After the start of recording, the channels from neighboring transponders turn out “pale”. This is very friendly. 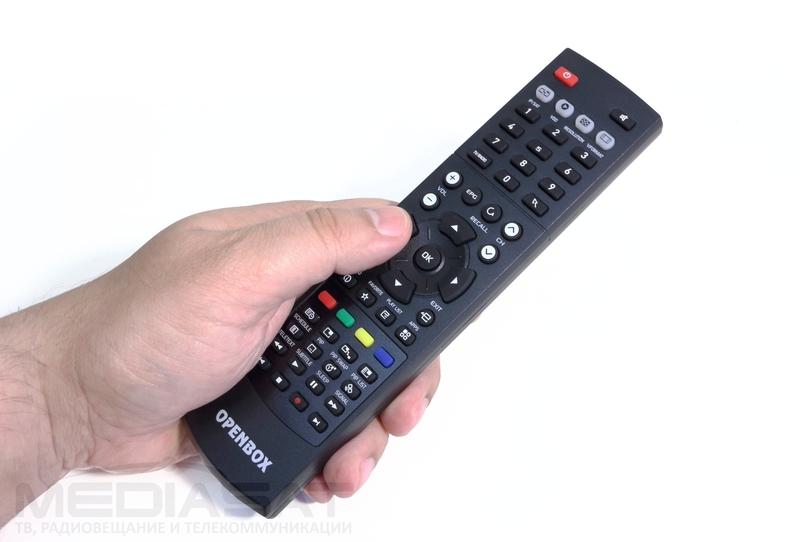 When you press the “Stop” button, the list of channels that are currently being recorded will appear on the remote control. You can select the channel to stop recording. One of the most useful and user-friendly features is TimeShift. Just imagine that you were calmly watching your favorite show, when you suddenly had to discuss a very important issue that allowed of no delay. No problem. You can always go back to the point you paused. Or another example when you are watching a football match, but your phone goes. No problems. You just pause and talk easily. The “Picture in Picture” and “Picture and Picture” functions are implemented only for watching TV. 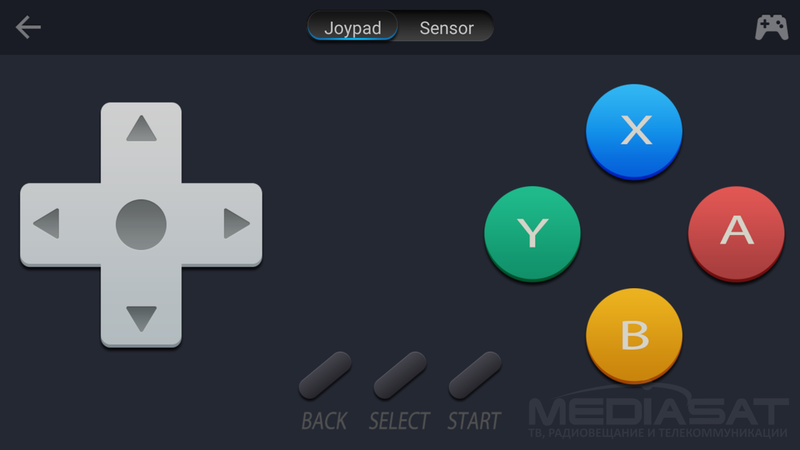 The PIP function is activated by pressing the button on the remote control. After that, a small preview window appears on the main picture on the right side. The PAP function divides the screen into two equal parts while watching. Sound is transmitted only from the main channel. For the preview window, you can change channels, but only within one transponder. 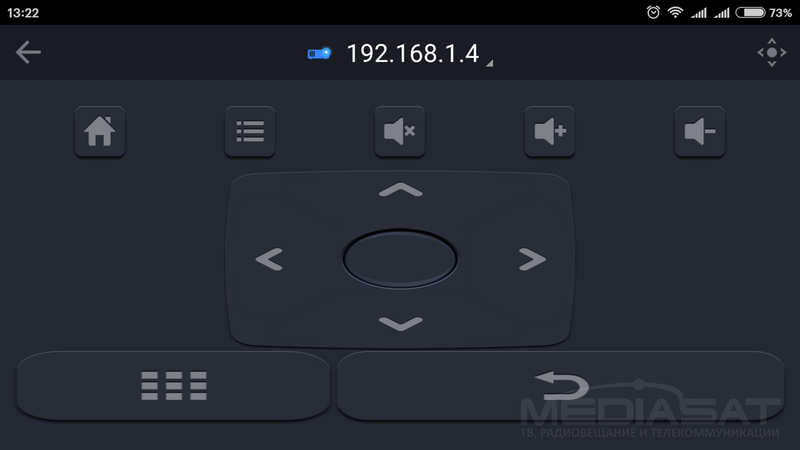 One click on the remote control makes swap over the main channel and the preview one. The channel editor does not seem too intuitive, but it’s a matter of habit. All you need is implemented in it. The channel editor allows you as follows: to lock/unlock, move, delete, hide and rename channels, as well as create/delete and rename groups of favorites. After the channel was locked, when you change to it, you will be required to enter a four-digit administrator password. 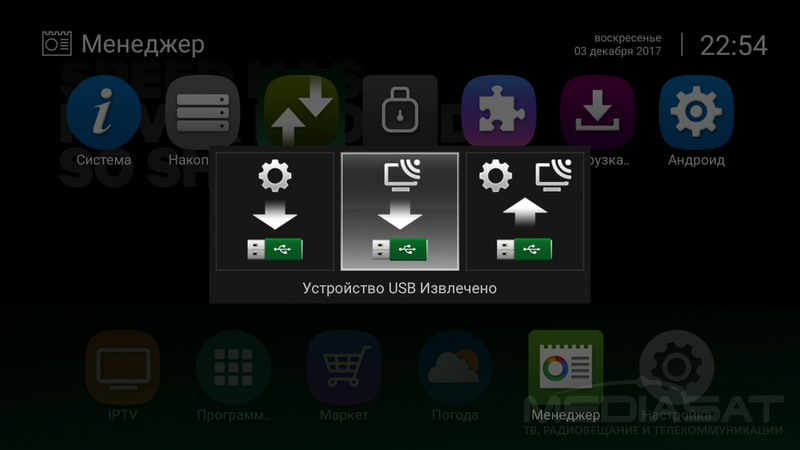 Optionally, the channel list and system settings can be saved on the USB flash drive. The channel list is saved in the SVC_xxxxxx.nsvc file. The system settings are saved in the SYS_xxxxxx.ngz file. A channel list file is a SQL Light database. 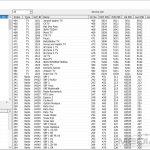 One may edit the list of channels on PC by means of the ChEdit4Android utility. The channels can be renamed or deleted. Editing groups of favorites is also supported. The smartphone Xiaomi Redmi Note 3 was used for testing. 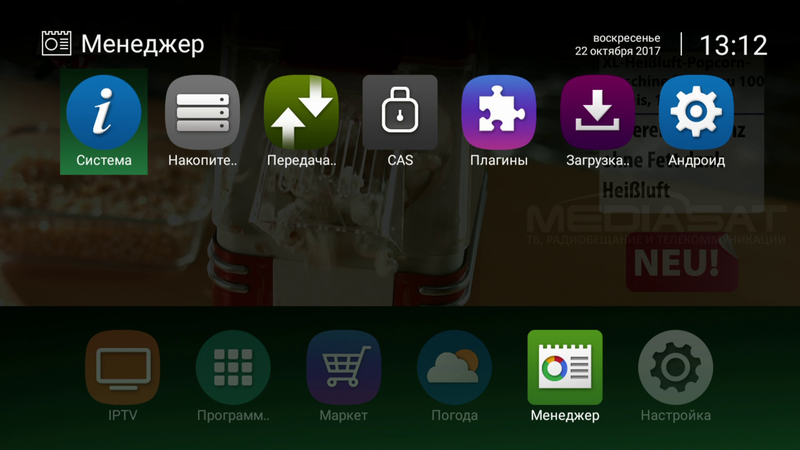 Its screen resolution is 1920х1080, version Android 5.1 Lollipop. To run Miracast on the receiver you need to open a preinstalled app of the same name. If the OpenBox AS4K is connected via WiFi, the first connection succeeds in 95% of cases. At the same time, the frequency of 10-15 fps allows displaying pictures from the gallery or surfing online, but it is hard to watch videos. With a wired connection, everything was even more painful. 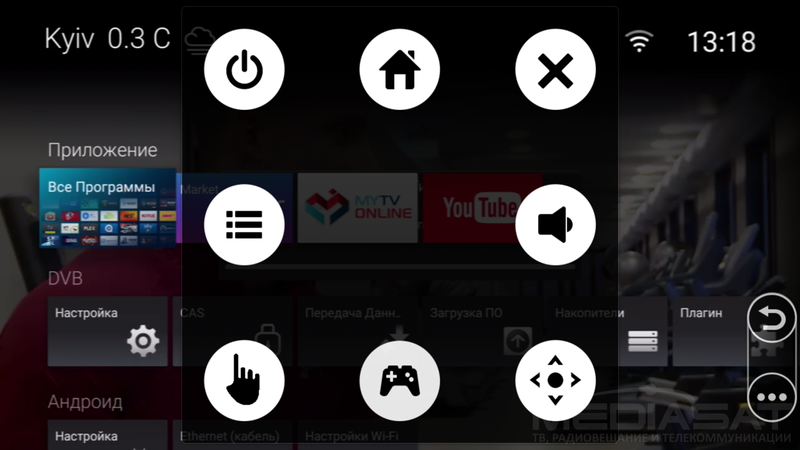 At start, the Miracast v5 app shows a warning that you need to disable the access point mode. The app is evidently not adapted for a wired connection. 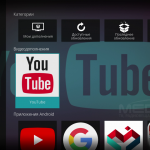 Although OpenBox does not offer a special receiver control app, on Google Play you can find the “HiTVRemote” app for controlling smart TVs, based on HiSilicon chips. 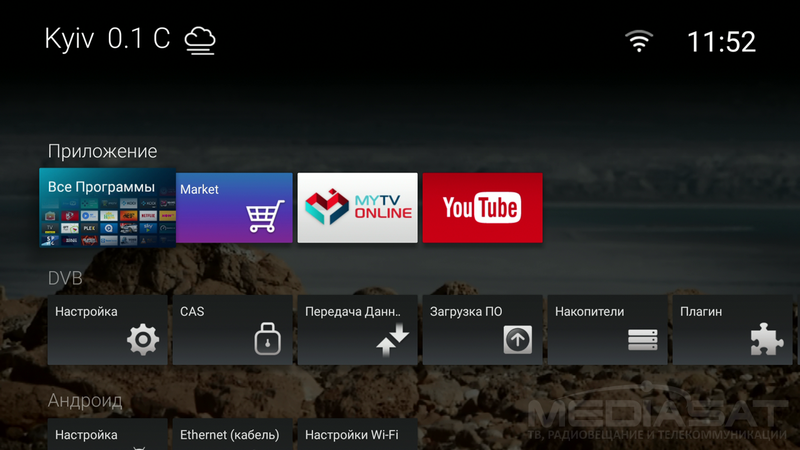 With it, you can control your receiver and watch TV via Android-based tablets or smartphones. There is no need for installing auxiliary software on your receiver. The app is not so stable, but it can be helpful. After launching it, I selected the right icon “Mirror Controller”, and identified the device I wanted to control by clicking on “Select Device”. Then I saved its IP address. This is similar to mirroring picture (Miracast) in the opposite direction – from the receiver to the tablet or phone. Unfortunately, no solution was found for iOS. If failed searching, share the app in the comments. DLNA technology has long showed itself to be a reliable standard of transferring media data between quite different devices. 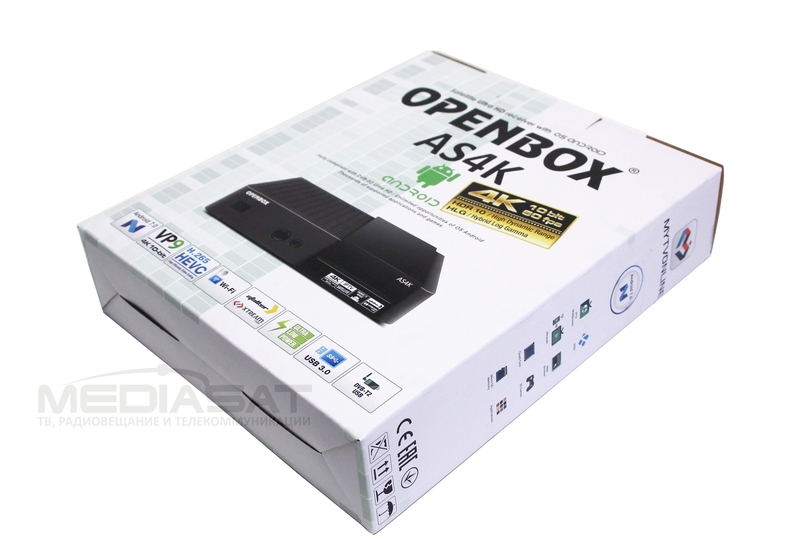 Fortunately, DLNA technology is fully supported by OpenBox AS4K. By default, the receiver has both the DLNA-DMS server, and the DMP/DMR player. The server provides network access to the local disk connected to the receiver. 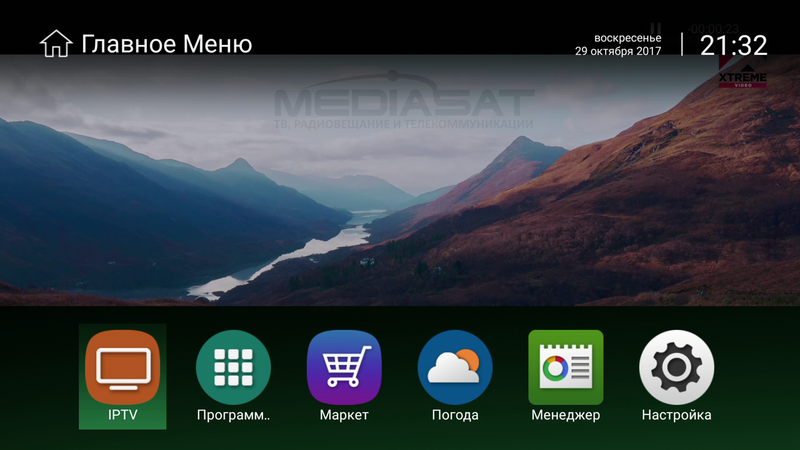 Any DLNA device can play media files from it. 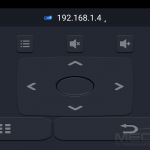 Thanks to the built-in DLNA player, you can redirect the playback of audio/video files to the receiver. 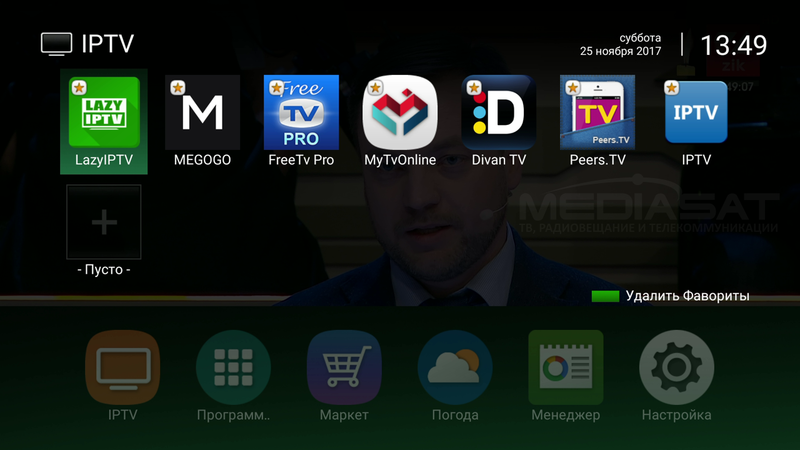 For example, provided that the phone and receiver are in the same local network, you can start playing video directly on the receiver, without copying files first. It is very friendly. Sending to DMP/DMR is available even for Windows Media Player, which is part of all Windows operating systems, from Vista to Windows 10. DLNA compatibility technology has a number of limitations by supported codecs and containers, but even so it has become very popular. For fans of synthetic tests, I share information from AIDA64 for Android v1.48 and AnTuTu Benchmark v6.2.7. Root access is not available. For the multimedia playback test, we used an external hard drive WD Scorpio Black 2.5″ 7200 rpm, connected to the USB 3.0 port. A set of HDTV files test v1.7, plus some additional files. Despite the modest, in terms of actual standards, RAM capacity of 1 GB, it was quite enough for seamless operation of Kodi v17.6. 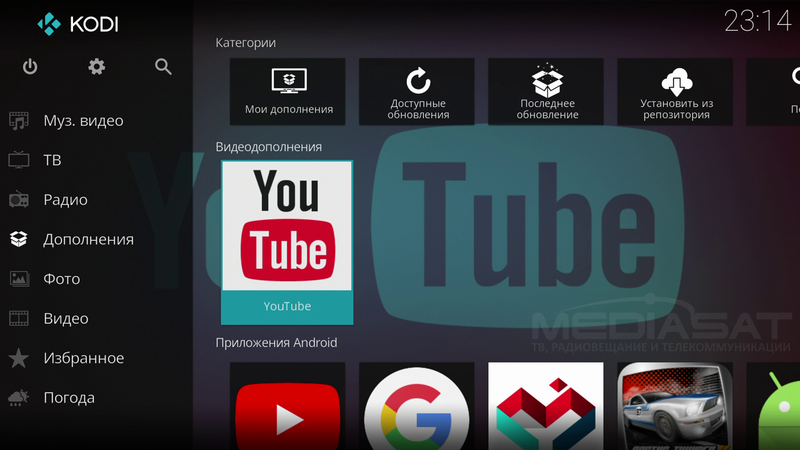 Who is not aware, Kodi is a free multiplatform media player that supports Russian and Ukrainian interface and various themes. It became popular due to a large number of plug-ins that adds functionality. At the same time, it copes perfectly well with playing files from local sources. 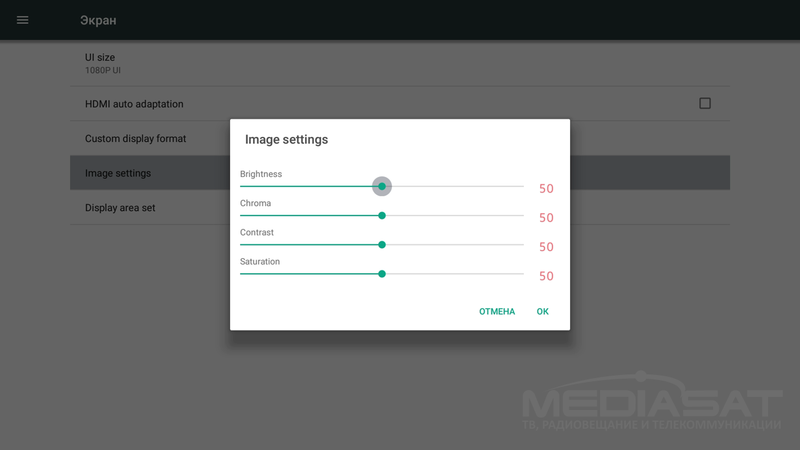 In the plug-in settings you should enable MPEG-DASH to unlock input configuration, where all the values should be set as shown on the screenshots below. Your comfort of viewing 4K on YouTube depends heavily on your Internet connection. The speed should be 100 Mbps or higher. The preinstalled explorer provides for opening files from local or network drives, but functions for working with files (copying, renaming, creating directories, formatting) are not supported. 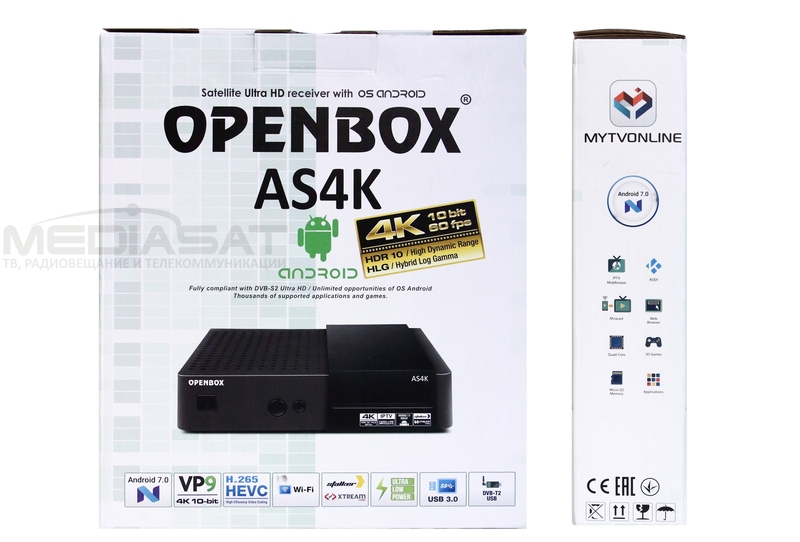 On the OpenBox AS4K, you can easily play arcade or puzzle games, although the receiver also copes with simple 3D games. 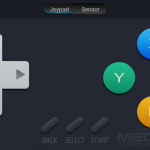 In some cases, there may be troubles with control, when a game requires using multitouch, which is not supported in a conventional TV-set. As for the third-party software, I will mention the Megogo cinema. Part of its content is paid, part is subscription based, and part is free, subject to viewing advertisement. Unfortunately, the application itself is not customized for remote control, so you have to switch to the mouse mode. 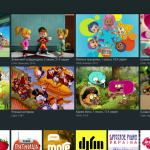 It also offers a package of TV channels as OTT service, but for an extra fee. 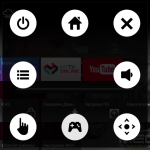 The Divan TV app is customized for the remote control. It also has a library of films and an option of watching TV as OTT service for an extra fee. 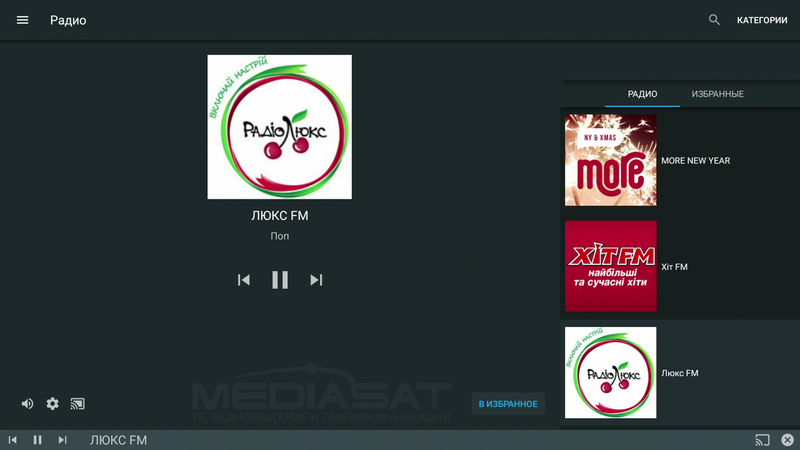 You can listen to Ukrainian radio stations for free with good sound. 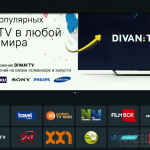 Another cinema with a list of TV channels is Oll.TV that offers a seven-day test access, subject to sign up. A special attention is paid to football fans. 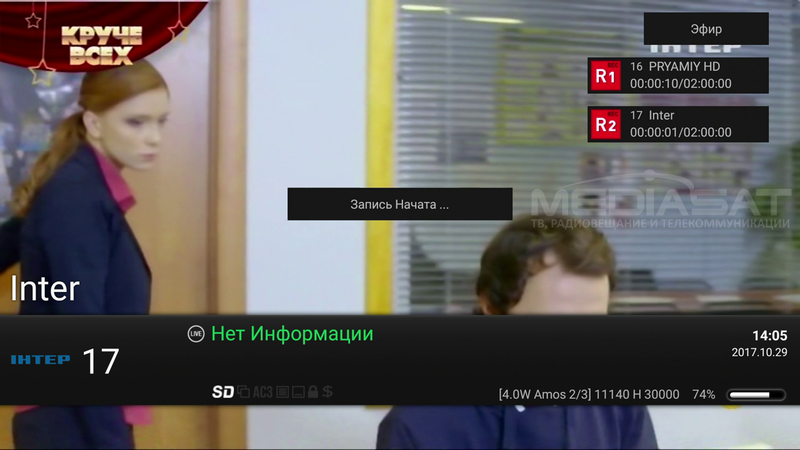 There is a whole section in Oll.TV menu for them with football scores. 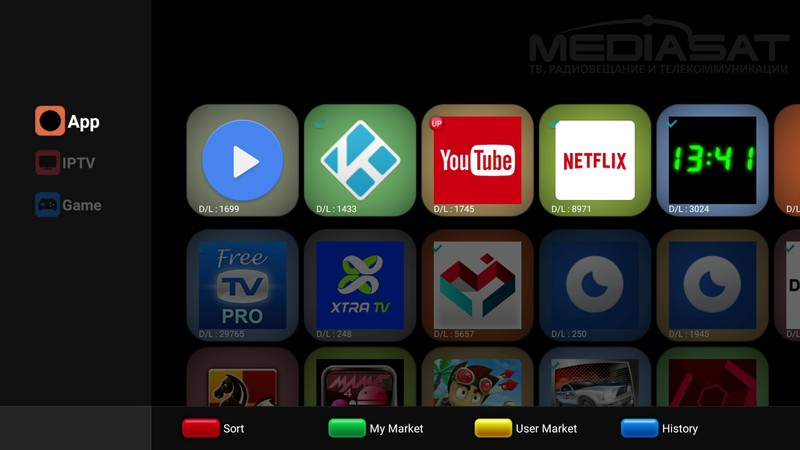 Two versions of the Oll.TV app are available in the “Market”, supporting remote control or not. Unfortunately, the remote support version hangs up right after its start. 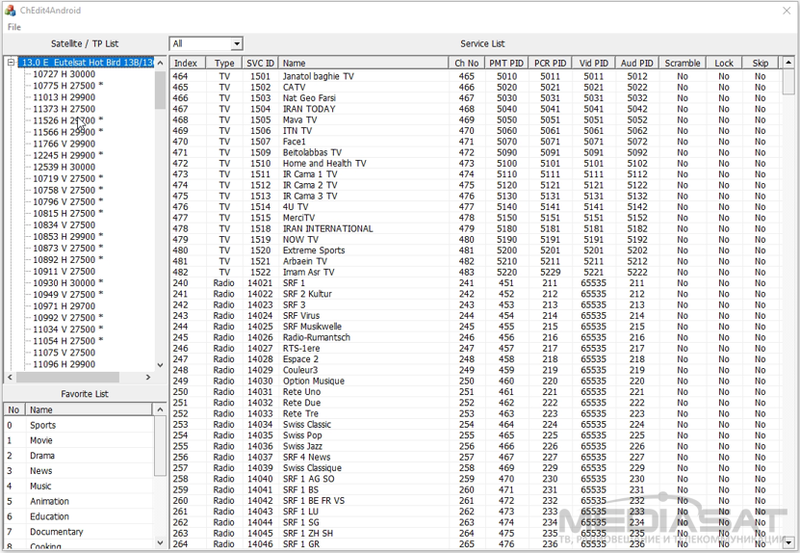 Simple software allows watching FreeTV Pro, using the channel list in the .m3u file. Unfortunately, it does not support recording or changing aspect ratio. After it was updated December 6, 2017, the main menu got “IP Channel Search”. 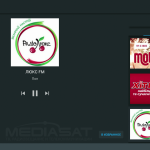 As its name implies, you can add IPTV channels from the network playlist or from a local file with the extension .m3u or .m3u8. There was no chance to test it, since I did not activate any IPTV service. 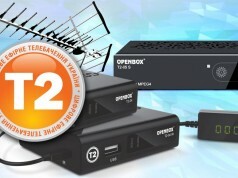 One of the main external devices that can be connected to OpenBox AS4K is an external tuner OpenBox T230C for receiving digital terrestrial TV in DVB-T/T2 format. Additional drivers or applications are not required to install. 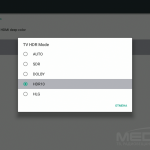 At that, the receiver settings open an item to search for terrestrial channels. It is handy that satellite and terrestrial channels are displayed in a single list. There was no problem while connecting external hard disk to USB 3.0. Flash drives, USB keyboards and USB mice also work seamlessly. 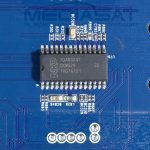 Moreover, it is possible to connect compatible USB Web cameras. I used the Logitech C270. A camera is helpful for the Skype app. In addition, this camera microphone is available to the Google search service. This provides for activating voice input in Google Chrome or Google onscreen keyboard. 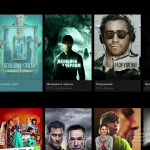 Even the popular HD VideoBox app can search for movies by voice input. Unfortunately, there is no precise list of compatible web cameras. 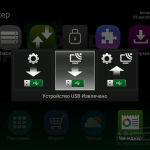 Below, there is a list of USB webcams running Android and not requiring additional drivers. This list is compiled following user feedbacks on profile forums. Once connected, you should grant camera and microphone access to the applications you are going to use. As for the Bluetooth module, the system settings have a Bluetooth control section, but when you try to turn it on, the switch comes back to the “Off” position. For correct operation, you should connect a Bluetooth adapter to the set-top box. 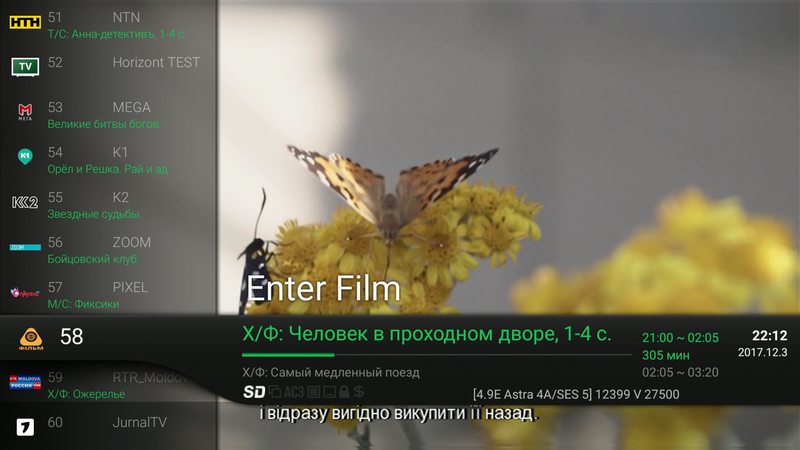 At the beginning of tests, there were important doubts that antenna with a mirror of 0.6m would be enough for secure reception of UltraHD channels, but OpenBoxAS4K came through. I feel safe to say that the OpenBox AS4K is primarily a modern satellite tuner that will provide a comfortable reception of DVB-S/S2 same as UltraHD quality, while it is able to cope with playing the heaviest media files of any format. 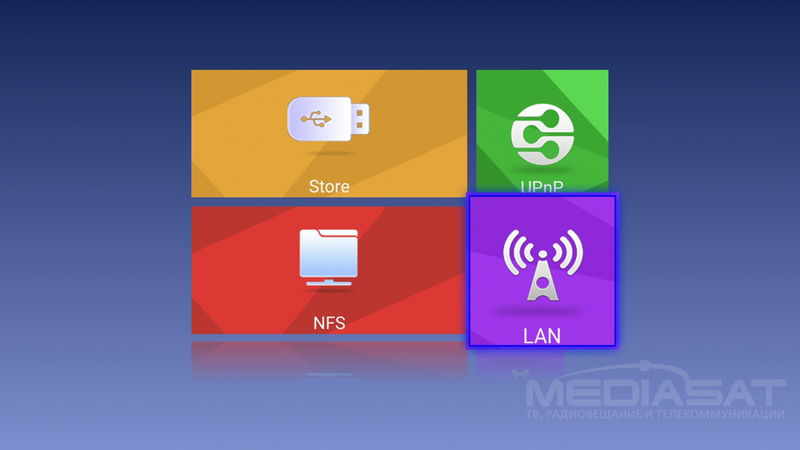 For reliable operation of all network services and IPTV, you should use a wired connection to the local network. This is the only way to discover the full potential of OpenBox AS4K. 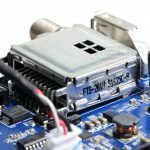 Despite the fact that the weak point of hybrid devices is their Android interface, the OpenBox developers have successfully addressed that problem. 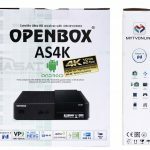 Surely, OpenBox AS4K, like most devices, is assembled in China, but at the same time, it has significant advantages like high-quality software and hardware, as well as warranty/post-warranty support. An important point is the support from amateur forums, where you can find a quick answer to any question. 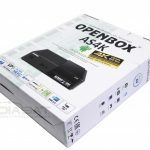 OpenBox AS4K can be just turned on and used. 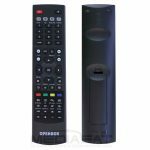 You do not have to worry about choosing shell, searching for user-friendly remote control, replacing onscreen keyboard, removing unnecessary apps by “careful” factory default. Perhaps, those who are keen on technology will agree with the following statement: there is no ideal device. Each device has its own pros and cons. It all depends on how much the device meets your needs. I hope that today’s overview was helpful to understand it. 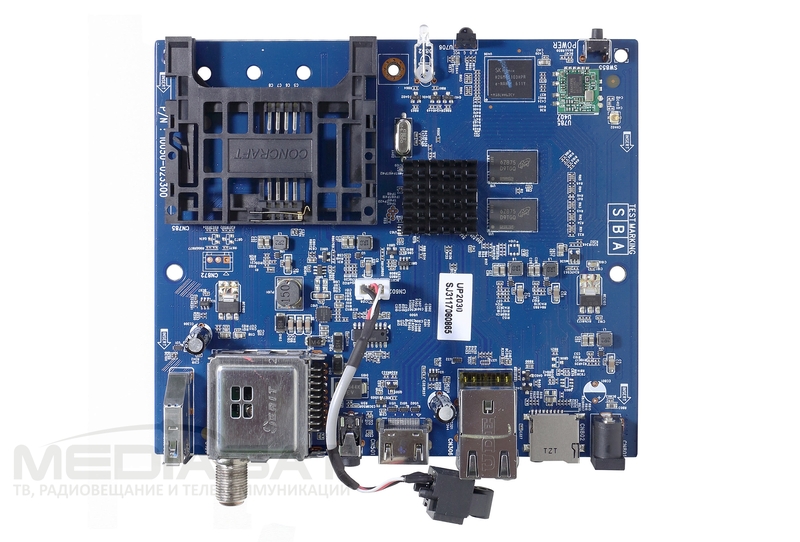 Good hardware based on SOC HiSilicon Hi3798M v200. Support for all modern video standards, including HEVC in 4K resolution and 60fps. 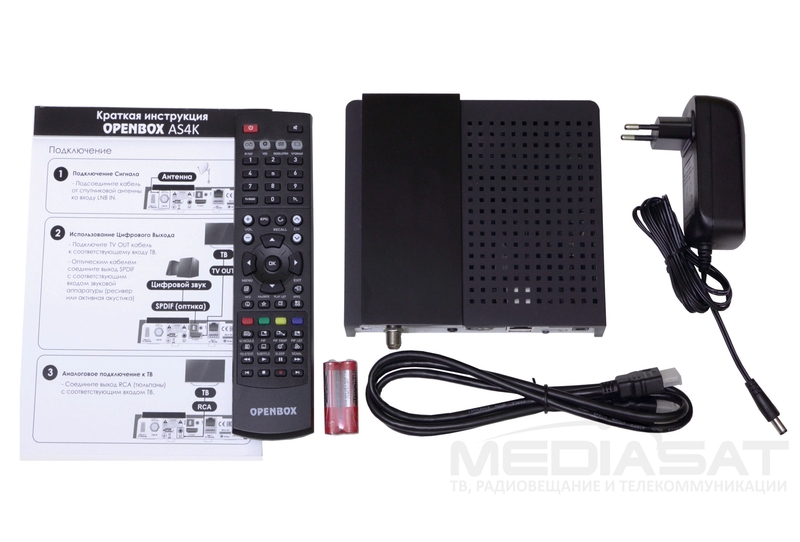 User-friendly and functional interface for receiving satellite TV. Option to connect USB tuner DVB-T2. The latest Android 7.0 (Google Play). No support for HDMI CEC.